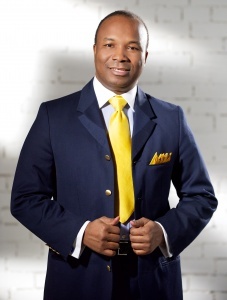 Sunday Adelaja is a Nigerian born Leader, Thinker, Philosopher, Transformation Strategist, Pastor, Author and Innovator who lives in Kiev, Ukraine. At 19, he won a scholarship to study in the former Soviet Union. He completed his master’s program in Belorussia State University with distinction in journalism. At 33, he had built the largest evangelical church in Europe – The Embassy of the Blessed Kingdom of God for All Nations. Sunday Adelaja is one of the few individuals in our world who has been privileged to speak in the United Nations, Israeli Parliament, Japanese Parliament and United States Senate. The movement he pioneered has been instrumental in reshaping lives of people in the Ukraine, Russia and about 50 other nations where he has his branches. His congregation, which consists of ninety-nine percent white Europeans, is a cross-cultural model of the church for the 21st century. His life mission is to advance the Kingdom of God on earth by raising a generation of history makers who will live for a cause larger, bigger and greater than themselves. Those who will live like Jesus and transform every sphere of the society in every nation as a model of the Kingdom of God on earth. His economic empowerment program has succeeded in raising over 200 millionaires in the short period of three years. Sunday Adelaja is the author of over 300 books, many of which are translated into several languages including Russian, English, French, Chinese, German, etc. His work has been widely reported by world media outlets such as: The Washington Post, The Wall Street Journal, New York Times, Forbes, Associated Press, Reuters, CNN, BBC, German, Dutch and French national television stations. Pastor Sunday is happily married to his “Princess” Bose Dere-Adelaja. They are blessed with three children: Perez, Zoe and Pearl.